Your handy guide to navigating the 100 stalls at Hong Lim Food Centre. Built in 1978, Hong Lim Market and Food Centre is one of the first hawker centres established in the Chinatown area. Located on Upper Cross Street nestled among housing estates, the centre is home to over a hundred hawker stalls. Some of the popular ones include the Famous Sungei Road Trishaw Laksa, which famously found itself received a Bib Gourmand in this year's Michelin Guide, as well as bak chor mee (minced pork noodles), wanton mee (noodles served with dumplings) and bak kut teh (pork bone soup). With further ado, here's our guide to navigating Hong Lim Market and Food Centre for its best culinary treasures. Opening hours: 7am to 9pm, daily. Avid patrons of Hong Lim Market and Food Centre will know that there are two stalls hawking exceptional curry noodles; one located on the first floor and the second, on the second. Ah Heng is located on the second floor and it is Ah Heng's curry noodles that has our vote. What set Ah Heng's curry broth apart is the quality of each and every component. The chicken is pre-cooked aside, which allows it to be cooked to a perfect succulent bite and the taupok (fried beancurd puff) is thick and airy, which helps it hold up well against the curried broth. Prices begin at $4.50 for a small, $5.50 for a medium and $6.50 for a large bowl. Additional toppings such as the taupok, fishcake or the boneless Hainanese chicken fillet cost a dollar each. Fans of Ah Heng will also be happy to know that they've got two other outlets on Queen Street at QS269 Food House and Mei Hua Foodcourt at Raffles Place. Opening hours: 11:30am to 4.30pm, daily. Closed on Sundays. Two dishes stand out at this hawker stall housed in Hong Lim Market & food Centre. Their namesake laksa, of course, and their mee siam made laced with fruit juice. Both dishes are excellent. 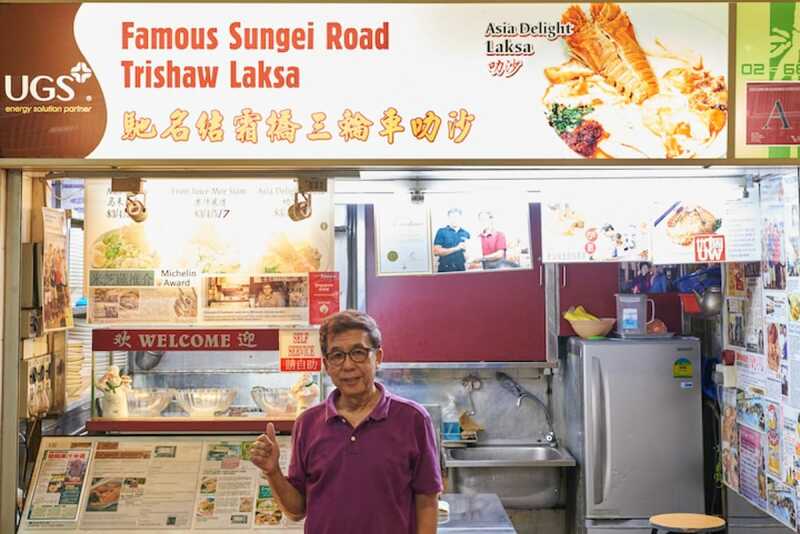 Their laksa is noticeably less lemak than the versions from the 328 Katong Laksa and Depot Road Zhen Shan Mei Claypot Laksa and owner Daniel Soo assures us in a previous interview that it's intentional. Instead, Soo incorporates premium ingredients such as dried scallops, oysters and fresh prawns to intensify the aromas and flavours of the laksa. There are two main camps when it comes to bak kut teh: pepper and herbal. Hokkien street Bak Kut Teh belongs to the latter. The pork bone broth here comes the dark brown tones of burnt caramel and the soup has a sweet aftertaste due to the infusion of Chinese herbs. Morning birds will be glad to know that the stall opens as early as 7am, catering to its slew of breakfast-seeking customers. Opening hours: 9.30am to 7.30pm, Tues to Sun. Closed on Mondays. Don't be put off by the queue at Tai Wah, the service is brisk and the lines move quick. 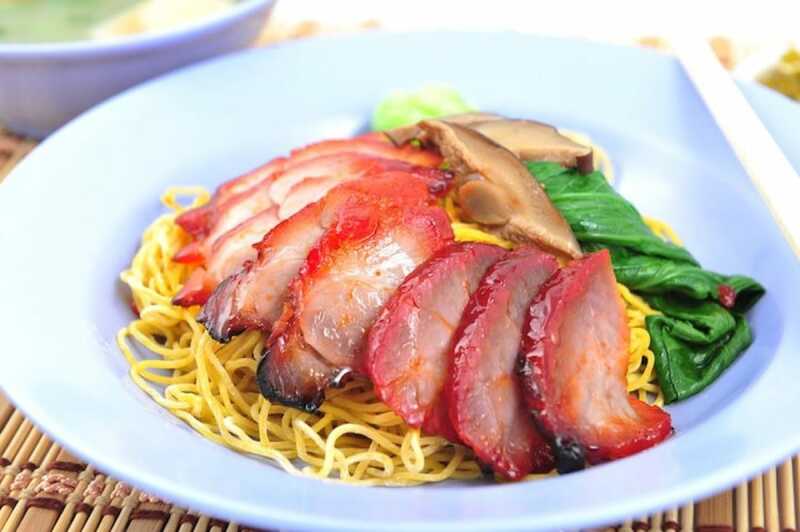 Before you know it, you'll be awarded with a nice hot bowl that depending on your preference to have your bak chor mee dry or with soup, comes with egg noodles tossed in a tangy, spicy, savoury mix of black vinegar, homemade chili and pieces of pork lard or bathed in a clear broth. Opening hours: 6.30am to 8.30pm, daily. They don't get to call themselves a wanton mee specialist for nothing. Ji Ji's wanton noodles is exceptional and the lines for their food is a testament of that. Originally at the helm is an elderly lady whose failing knees forced her into retirement and to eventually pass the reins to her two daughters. Loyal customers will notice a hike in price since the handover but the quality of the food remains status quo. The noodles are ever al dente and springy to chew and the wantons, both fried and boiled, are meaty and flavourful. Opening hours: 6am to 3.30pm, Mon to Sat. Closed on Sundays. It's easily one of the most popular stalls at Hong Lim Market and Food Centre with its perpetual snaking queue. So really the question to ask oneself is: to queue or not to queue? We say it's worth the wait. The secret we've found is the hawker's egg to fried kway teow ratio, which is one and a half eggs to a plate. This gives the noodles a consistency that's more "wet", a prerequisite for many fried kway teow aficionados. The cockles added to the noodles are fresh and abundant as are the accompanying lup cheong (chinese sausage) and slices of fish cake. 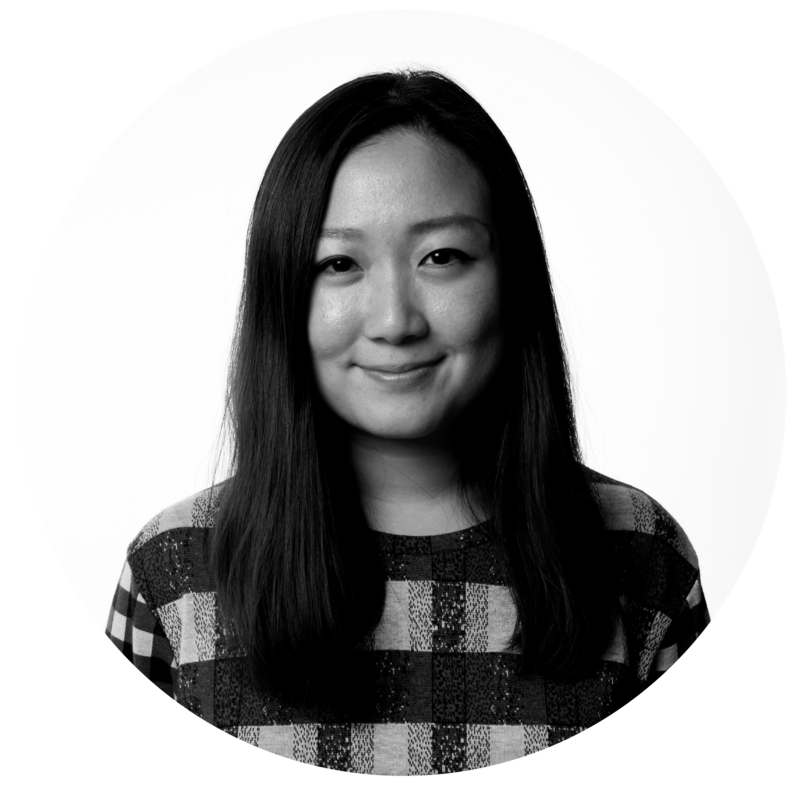 Alethea traded her office cubicle for a home desk in Vietnam couple of years back, freelancing from wherever her food adventures would take her; from pho-slurping in Ho Chi Minh City to snail-picking in Hanoi. She has since returned to the motherland and now spends her time sussing out new restaurants to visit, recipes to cook and ways to terrorise her cat. The Pang family is changing the face of Singaporean zi char, embracing innovation while respecting time-honoured traditions. Craving for a tantalising bowl of beef noodles? Find out more about the best spots for this quintessential Taiwanese dish and its fascinating history. The inaugural Bib Gourmand selection for Taipei includes 36 establishments, 10 of which are offerings from Taiwan’s famous night markets.